**1-OWNER 2012 JETTA PREMIUM 2.0L TDI DIESEL W/ SUNROOF, LEATHER, ALLOY WHEELS, HEATED SEATS AND SO MUCH MORE!! **, ~BEST COLOR COMBO~, **GREAT MPG!! **, ~WON'T LAST! !~ We Save You Time and Money Utilizing Internet Value Pricing! Our goal at Kuhn is to save you thousands on any vehicle in-stock by presenting market-based Internet Value Pricing. We do not artificially inflate our vehicle prices, attempting to win a negotiation contest with our guests. In short, we never play pricing games! Kuhn Automotive Group--Proudly serving the Greater Tampa Bay Area and beyond, including Saint Petersburg, Clearwater, Tarpon Springs, Safety Harbor, Brandon, Temple Terrace, Pinellas Park, Plant City, Largo, Lakeland, Orlando, and YOU! Call us today! (813) 872-4841. **VW CERTIFIED**, **1-OWNER 2014 JETTA SPORTWAGEN 2.0L TDI W/ SUNROOF, LEATHER, ALLOY WHEELS, HEATED SEATS AND SO MUCH MORE!! **, ~BEST COLOR COMBO~, **GREAT MPG!! **, ~PLUS, X-TRA 2YR/UNLIMITED MILES OF BUMPER-TO-BUMPER COVERAGE! !~, **WON'T LAST!! ** We Save You Time and Money Utilizing Internet Value Pricing! Our goal at Kuhn is to save you thousands on any vehicle in-stock by presenting market-based Internet Value Pricing. We do not artificially inflate our vehicle prices, attempting to win a negotiation contest with our guests. In short, we never play pricing games! Kuhn Automotive Group--Proudly serving the Greater Tampa Bay Area and beyond, including Saint Petersburg, Clearwater, Tarpon Springs, Safety Harbor, Brandon, Temple Terrace, Pinellas Park, Plant City, Largo, Lakeland, Orlando, and YOU! Call us today! (813) 872-4841. **VW CERTIFIED**, **1-OWNER 2014 JETTA SPORTWAGEN 2.0L TDI W/ LEATHER, ALLOY WHEELS, HEATED SEATS AND SO MUCH MORE!! **, ~BEST COLOR COMBO~, **GREAT MPG!! **, ~PLUS, X-TRA 2YR/UNLIMITED MILES OF BUMPER-TO-BUMPER COVERAGE! !~, **WON'T LAST!! ** We Save You Time and Money Utilizing Internet Value Pricing! Our goal at Kuhn is to save you thousands on any vehicle in-stock by presenting market-based Internet Value Pricing. We do not artificially inflate our vehicle prices, attempting to win a negotiation contest with our guests. In short, we never play pricing games! Kuhn Automotive Group--Proudly serving the Greater Tampa Bay Area and beyond, including Saint Petersburg, Clearwater, Tarpon Springs, Safety Harbor, Brandon, Temple Terrace, Pinellas Park, Plant City, Largo, Lakeland, Orlando, and YOU! Call us today! (813) 872-4841. **VW CERTIFIED**, **1-OWNER 2013 JETTA SPORTWAGEN 2.0L TDI W/ SUNROOF, LEATHER, ALLOY WHEELS, HEATED SEATS AND SO MUCH MORE!! **, ~BEST COLOR COMBO~, **GREAT MPG!! **, ~PLUS, X-TRA 2YR/UNLIMITED MILES OF BUMPER-TO-BUMPER COVERAGE! !~, **WON'T LAST!! ** We Save You Time and Money Utilizing Internet Value Pricing! Our goal at Kuhn is to save you thousands on any vehicle in-stock by presenting market-based Internet Value Pricing. We do not artificially inflate our vehicle prices, attempting to win a negotiation contest with our guests. In short, we never play pricing games! Kuhn Automotive Group--Proudly serving the Greater Tampa Bay Area and beyond, including Saint Petersburg, Clearwater, Tarpon Springs, Safety Harbor, Brandon, Temple Terrace, Pinellas Park, Plant City, Largo, Lakeland, Orlando, and YOU! Call us today! (813) 872-4841. **VW CERTIFIED**, **1-OWNER 2013 JETTA SPORTWAGEN 2.0L TDI W/ LEATHER, ALLOY WHEELS, HEATED SEATS AND SO MUCH MORE!! **, ~BEST COLOR COMBO~, **GREAT MPG!! **, ~PLUS, X-TRA 2YR/UNLIMITED MILES OF BUMPER-TO-BUMPER COVERAGE! !~, **WON'T LAST!! ** Volkswagen Certified Pre-Owned TDI Models Details: * Warranty Deductible: $50 * Vehicle History * Limited Warranty: 24 Month/Unlimited Mile beginning on the new certified purchase date or expiration of new car warranty expires (whichever occurs later) * 100+ Point Inspection * 2 Years of 24-Hr Roadside Asst. Transferability See Dealer for Details * Roadside Assistance We Save You Time and Money Utilizing Internet Value Pricing! Our goal at Kuhn is to save you thousands on any vehicle in-stock by presenting market-based Internet Value Pricing. We do not artificially inflate our vehicle prices, attempting to win a negotiation contest with our guests. In short, we never play pricing games! Kuhn Automotive Group--Proudly serving the Greater Tampa Bay Area and beyond, including Saint Petersburg, Clearwater, Tarpon Springs, Safety Harbor, Brandon, Temple Terrace, Pinellas Park, Plant City, Largo, Lakeland, Orlando, and YOU! Call us today! (813) 872-4841. **VW CERTIFIED**, **TURBO-DIESEL! **, **NAVIGATION**, **PANORAMIC SUNROOF**, **V-TEX LEATHERETTE**, **SIRIUSXM-READY**, **BLUETOOTH**, **AND MORE! ** Odometer is 4267 miles below market average! We Save You Time and Money Utilizing Internet Value Pricing! Our goal at Kuhn is to save you thousands on any vehicle in-stock by presenting market-based Internet Value Pricing. We do not artificially inflate our vehicle prices, attempting to win a negotiation contest with our guests. In short, we never play pricing games! Kuhn Automotive Group--Proudly serving the Greater Tampa Bay Area and beyond, including Saint Petersburg, Clearwater, Tarpon Springs, Safety Harbor, Brandon, Temple Terrace, Pinellas Park, Plant City, Largo, Lakeland, Orlando, and YOU! Call us today! (813) 872-4841. **VW CERTIFIED**, **2013 JETTA 2.0L TDI DIESEL W/ LEATHER, ALLOY WHEELS, HEATED SEATS AND SO MUCH MORE!! **, ~BEST COLOR COMBO~, **GREAT MPG!! **, **PLUS, X-TRA 2YR/UNLIMITED MILES OF BUMPER-TO-BUMPER COVERAGE!! Odometer is 9155 miles below market average! Volkswagen Certified Pre-Owned TDI Models Details: * Roadside Assistance * 2 Years of 24-Hr Roadside Asst. Transferability See Dealer for Details * Vehicle History * 100+ Point Inspection * Limited Warranty: 24 Month/Unlimited Mile beginning on the new certified purchase date or expiration of new car warranty expires (whichever occurs later) * Warranty Deductible: $50 We Save You Time and Money Utilizing Internet Value Pricing! Our goal at Kuhn is to save you thousands on any vehicle in-stock by presenting market-based Internet Value Pricing. We do not artificially inflate our vehicle prices, attempting to win a negotiation contest with our guests. In short, we never play pricing games! Kuhn Automotive Group--Proudly serving the Greater Tampa Bay Area and beyond, including Saint Petersburg, Clearwater, Tarpon Springs, Safety Harbor, Brandon, Temple Terrace, Pinellas Park, Plant City, Largo, Lakeland, Orlando, and YOU! Call us today! (813) 872-4841. **VW CERTIFIED**, **1-OWNER 2013 JETTA SPORTWAGEN TDI DIESEL AUTOMATIC W/ SUNROOF, LEATHER, BLUE-TOOTH, ALLOY WHEELS, HEATED SEATS AND SO MUCH MORE!! **, ~BEST COLOR COMBO~, **GREAT MPG!! **, ~PLUS X-TRA 2YR/UNLIMITED MILES OF BUMPER-TO-BUMPER WARRANTY INCLUDED! !~, **WON'T LAST!! ** Volkswagen Certified Pre-Owned TDI Models Details: * Warranty Deductible: $50 * Roadside Assistance * Vehicle History * 100+ Point Inspection * 2 Years of 24-Hr Roadside Asst. Transferability See Dealer for Details * Limited Warranty: 24 Month/Unlimited Mile beginning on the new certified purchase date or expiration of new car warranty expires (whichever occurs later) We Save You Time and Money Utilizing Internet Value Pricing! Our goal at Kuhn is to save you thousands on any vehicle in-stock by presenting market-based Internet Value Pricing. We do not artificially inflate our vehicle prices, attempting to win a negotiation contest with our guests. In short, we never play pricing games! Kuhn Automotive Group--Proudly serving the Greater Tampa Bay Area and beyond, including Saint Petersburg, Clearwater, Tarpon Springs, Safety Harbor, Brandon, Temple Terrace, Pinellas Park, Plant City, Largo, Lakeland, Orlando, and YOU! Call us today! (813) 872-4841. **VW CERTIFIED**, **1-OWNER 2014 JETTA 2.0L TDI AUTOMATIC W/ ALLOY WHEELS, HEATED SEATS AND SO MUCH MORE!! **, ~BEST COLOR COMBO~, **GREAT MPG!! **, ~PLUS, X-TRA 2YR/UNLIMITED MILES OF BUMPER-TO-BUMPER COVERAGE! !~, **WON'T LAST!! ** Odometer is 11040 miles below market average! Volkswagen Certified Pre-Owned TDI Models Details: * Vehicle History * Roadside Assistance * Limited Warranty: 24 Month/Unlimited Mile beginning on the new certified purchase date or expiration of new car warranty expires (whichever occurs later) * 2 Years of 24-Hr Roadside Asst. Transferability See Dealer for Details * 100+ Point Inspection * Warranty Deductible: $50 We Save You Time and Money Utilizing Internet Value Pricing! Our goal at Kuhn is to save you thousands on any vehicle in-stock by presenting market-based Internet Value Pricing. We do not artificially inflate our vehicle prices, attempting to win a negotiation contest with our guests. In short, we never play pricing games! Kuhn Automotive Group--Proudly serving the Greater Tampa Bay Area and beyond, including Saint Petersburg, Clearwater, Tarpon Springs, Safety Harbor, Brandon, Temple Terrace, Pinellas Park, Plant City, Largo, Lakeland, Orlando, and YOU! Call us today! (813) 872-4841. **VW CERTIFIED**, **1-OWNER 2015 PASSAT WOLFSBURG EDITION W/ LEATHER, BLUE-TOOTH, ALLOY WHEELS AND SO MUCH MORE!! **, ~BEST COLOR COMBO~, **PERFECT CONDITION**, ~PLUS, X-TRA 2YRS/24K MILES OF BUMPER-TO-BUMBER CERTIFIED WARRANTY! !~, **WON'T LAST!! ** Odometer is 12829 miles below market average! Volkswagen Certified Pre-Owned 2012-2017 Model Years Details: * Roadside Assistance * Vehicle History * 100+ Point Inspection * Warranty Deductible: $50 * 2 Years of 24-Hr Roadside Asst. Transferability See Dealer for Details * Limited Warranty: 24 Month/24,000 Mile beginning on the new certified purchase date or expiration of new car warranty expires (whichever occurs later) We Save You Time and Money Utilizing Internet Value Pricing! Our goal at Kuhn is to save you thousands on any vehicle in-stock by presenting market-based Internet Value Pricing. We do not artificially inflate our vehicle prices, attempting to win a negotiation contest with our guests. In short, we never play pricing games! Kuhn Automotive Group--Proudly serving the Greater Tampa Bay Area and beyond, including Saint Petersburg, Clearwater, Tarpon Springs, Safety Harbor, Brandon, Temple Terrace, Pinellas Park, Plant City, Largo, Lakeland, Orlando, and YOU! Call us today! (813) 872-4841. **VW CERTIFIED**, **1-OWNER 2014 JETTA SPORTWAGEN 2.0L TDI W/ SUNROOF, LEATHER, ALLOY WHEELS, BLUE-TOOTH, HEATED SEATS AND SO MUCH MORE!! **, ~BEST COLOR COMBO~, **GREAT MPG!! **, ~PLUS, X-TRA 2YR/UNLIMITED MILES OF BUMPER-TO-BUMPER COVERAGE! !~, **WON'T LAST!! ** Volkswagen Certified Pre-Owned TDI Models Details: * Roadside Assistance * Limited Warranty: 24 Month/Unlimited Mile beginning on the new certified purchase date or expiration of new car warranty expires (whichever occurs later) * 2 Years of 24-Hr Roadside Asst. Transferability See Dealer for Details * 100+ Point Inspection * Vehicle History * Warranty Deductible: $50 We Save You Time and Money Utilizing Internet Value Pricing! Our goal at Kuhn is to save you thousands on any vehicle in-stock by presenting market-based Internet Value Pricing. We do not artificially inflate our vehicle prices, attempting to win a negotiation contest with our guests. In short, we never play pricing games! Kuhn Automotive Group--Proudly serving the Greater Tampa Bay Area and beyond, including Saint Petersburg, Clearwater, Tarpon Springs, Safety Harbor, Brandon, Temple Terrace, Pinellas Park, Plant City, Largo, Lakeland, Orlando, and YOU! Call us today! (813) 872-4841. **VW CERTIFIED 2013 JETTA SPORTWAGEN 2.0L TDI DIESEL W/ SUNROOF, LEATHER, ALLOY WHEELS, BLUE-TOOTH, HEATED SEATS AND SO MUCH MORE!! **, ~BEST COLOR COMBO~, **GREAT MPG!! **, ~PLUS, X-TRA 2YR/UNLIMITED MILES OF BUMPER-TO-BUMPER COVERAGE! !~, **WON'T LAST!! ** Odometer is 14396 miles below market average! Volkswagen Certified Pre-Owned TDI Models Details: * 2 Years of 24-Hr Roadside Asst. Transferability See Dealer for Details * Roadside Assistance * Warranty Deductible: $50 * Limited Warranty: 24 Month/Unlimited Mile beginning on the new certified purchase date or expiration of new car warranty expires (whichever occurs later) * 100+ Point Inspection * Vehicle History We Save You Time and Money Utilizing Internet Value Pricing! 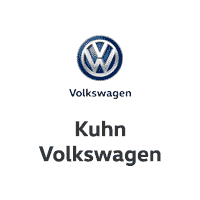 Our goal at Kuhn is to save you thousands on any vehicle in-stock by presenting market-based Internet Value Pricing. We do not artificially inflate our vehicle prices, attempting to win a negotiation contest with our guests. In short, we never play pricing games! Kuhn Automotive Group--Proudly serving the Greater Tampa Bay Area and beyond, including Saint Petersburg, Clearwater, Tarpon Springs, Safety Harbor, Brandon, Temple Terrace, Pinellas Park, Plant City, Largo, Lakeland, Orlando, and YOU! Call us today! (813) 872-4841. **VW CERTIFIED**, **1-OWNER**, **2016 TIGUAN W/ LEATHER, BACK-UP CAMERA, BLUE-TOOTH, PUSH-BUTTON START, ALLOY WHEELS, BACK-UP CAMERA AND SO MUCH MORE!! **, ~LEASE TURN-IN...IMMACULATE! !~, **BEST COLOR COMBO**, ~PLUS, X-TRA 2YR/24K MILES OF BUMPER-TO-BUMPER COVERAGE!~ Volkswagen Certified Pre-Owned 2012-2017 Model Years Details: * Vehicle History * 100+ Point Inspection * Roadside Assistance * 2 Years of 24-Hr Roadside Asst. Transferability See Dealer for Details * Limited Warranty: 24 Month/24,000 Mile beginning on the new certified purchase date or expiration of new car warranty expires (whichever occurs later) * Warranty Deductible: $50 We Save You Time and Money Utilizing Internet Value Pricing! Our goal at Kuhn is to save you thousands on any vehicle in-stock by presenting market-based Internet Value Pricing. We do not artificially inflate our vehicle prices, attempting to win a negotiation contest with our guests. In short, we never play pricing games! Kuhn Automotive Group--Proudly serving the Greater Tampa Bay Area and beyond, including Saint Petersburg, Clearwater, Tarpon Springs, Safety Harbor, Brandon, Temple Terrace, Pinellas Park, Plant City, Largo, Lakeland, Orlando, and YOU! Call us today! (813) 872-4841. **VW CERTIFIED**, **1-OWNER 2015 PASSAT TDI SE 2.0L TURBODIESEL AUTOMATIC W/ SUNROOF, LEATHER, BLUE-TOOTH, HEATED SEATS, ALLOY WHEELS AND SO MUCH MORE!! **, ~BEST COLOR COMBO~, **PLUS, XTRA 2YR/UNLIMITED MILES OF BUMPER-TO-BUMPER WARRANTY INCLUDED!! ** Volkswagen Certified Pre-Owned TDI Models Details: * Limited Warranty: 24 Month/Unlimited Mile beginning on the new certified purchase date or expiration of new car warranty expires (whichever occurs later) * Warranty Deductible: $50 * 2 Years of 24-Hr Roadside Asst. Transferability See Dealer for Details * Roadside Assistance * Vehicle History * 100+ Point Inspection We Save You Time and Money Utilizing Internet Value Pricing! Our goal at Kuhn is to save you thousands on any vehicle in-stock by presenting market-based Internet Value Pricing. We do not artificially inflate our vehicle prices, attempting to win a negotiation contest with our guests. In short, we never play pricing games! Kuhn Automotive Group--Proudly serving the Greater Tampa Bay Area and beyond, including Saint Petersburg, Clearwater, Tarpon Springs, Safety Harbor, Brandon, Temple Terrace, Pinellas Park, Plant City, Largo, Lakeland, Orlando, and YOU! Call us today! (813) 872-4841. **VW CERTIFIED**, **1-OWNER**, **FULLY LOADED 2015 PASSAT SE W/ NAVIGATION, SUNROOF, LEATHER, BLUE-TOOTH, BACK-UP CAMERA, ALLOY WHEELS AND SO MUCH MORE!! **, ~LEASE TURN-IN...IMMACULATE! !~, **BEST COLOR COMBO**, ~PLUS, X-TRA 2YR/24K MILES OF BUMPER-TO-BUMPER WARRANTY! !~ Odometer is 14132 miles below market average! Volkswagen Certified Pre-Owned 2012-2017 Model Years Details: * Roadside Assistance * 100+ Point Inspection * Vehicle History * Warranty Deductible: $50 * Limited Warranty: 24 Month/24,000 Mile beginning on the new certified purchase date or expiration of new car warranty expires (whichever occurs later) * 2 Years of 24-Hr Roadside Asst. Transferability See Dealer for Details We Save You Time and Money Utilizing Internet Value Pricing! Our goal at Kuhn is to save you thousands on any vehicle in-stock by presenting market-based Internet Value Pricing. We do not artificially inflate our vehicle prices, attempting to win a negotiation contest with our guests. In short, we never play pricing games! Kuhn Automotive Group--Proudly serving the Greater Tampa Bay Area and beyond, including Saint Petersburg, Clearwater, Tarpon Springs, Safety Harbor, Brandon, Temple Terrace, Pinellas Park, Plant City, Largo, Lakeland, Orlando, and YOU! Call us today! (813) 872-4841. **VW CERTIFIED**, **1-OWNER, TOP-OF-THE-LINE 2013 TDI DIESEL PASSAT SEL PREMIUM EDITION W/ PREMIUM NAVIGATION, SUNROOF, LEATHER, BLUE-TOOTH, FENDER PREMIUM AUDIO SYSTEM, REARVIEW CAMERA, ALLOY WHEELS AND SO MUCH MORE!! **, ~BEST COLOR COMBO~, **PLUS, X-TRA 2YR/UNLIMITED MILES OF BUMPER-TO-BUMPER COVERAGE!! Volkswagen Certified Pre-Owned TDI Models Details: * 100+ Point Inspection * Vehicle History * Warranty Deductible: $50 * 2 Years of 24-Hr Roadside Asst. Transferability See Dealer for Details * Roadside Assistance * Limited Warranty: 24 Month/Unlimited Mile beginning on the new certified purchase date or expiration of new car warranty expires (whichever occurs later) We Save You Time and Money Utilizing Internet Value Pricing! Our goal at Kuhn is to save you thousands on any vehicle in-stock by presenting market-based Internet Value Pricing. We do not artificially inflate our vehicle prices, attempting to win a negotiation contest with our guests. In short, we never play pricing games! Kuhn Automotive Group--Proudly serving the Greater Tampa Bay Area and beyond, including Saint Petersburg, Clearwater, Tarpon Springs, Safety Harbor, Brandon, Temple Terrace, Pinellas Park, Plant City, Largo, Lakeland, Orlando, and YOU! Call us today! (813) 872-4841. **VW CERTIFIED**, **1-OWNER 2016 CC SPORT AUTOMATIC W/ LEATHER, NAVIGATION, BLUE-TOOTH, PUSH-BUTTON START, ALLOY WHEELS AND SO MUCH MORE!! **, ~LEASE TURN-IN...IMMACULATE! !~, **BEST COLOR COMBO**, ~PLUS, XTRA 2YR/24K MILES OF BUMPER-TO-BUMPER WARRANTY! !~, **WON'T LAST!! ** Volkswagen Certified Pre-Owned 2012-2017 Model Years Details: * 2 Years of 24-Hr Roadside Asst. Transferability See Dealer for Details * Roadside Assistance * Limited Warranty: 24 Month/24,000 Mile beginning on the new certified purchase date or expiration of new car warranty expires (whichever occurs later) * 100+ Point Inspection * Warranty Deductible: $50 * Vehicle History We Save You Time and Money Utilizing Internet Value Pricing! Our goal at Kuhn is to save you thousands on any vehicle in-stock by presenting market-based Internet Value Pricing. We do not artificially inflate our vehicle prices, attempting to win a negotiation contest with our guests. In short, we never play pricing games! Kuhn Automotive Group--Proudly serving the Greater Tampa Bay Area and beyond, including Saint Petersburg, Clearwater, Tarpon Springs, Safety Harbor, Brandon, Temple Terrace, Pinellas Park, Plant City, Largo, Lakeland, Orlando, and YOU! Call us today! (813) 872-4841.